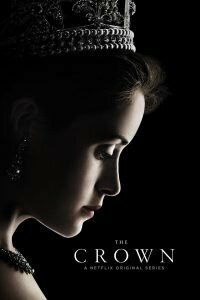 There has been much excitement here at Loseley with the first airing of “The Crown” on Netflix. The drama has been eagerly anticipated and, with rumours that it cost £100 million to make, the budget seems to have been well spent. There have been enthusiastic reviews for the writing, actors, costumes, filming and locations. Of particular interest to us were the scenes of Broadlands aka Loseley Park! From a shooting scene on the hill overlooking the House, to a dinner party in the Great Hall and Mountbatten on the telephone in the Drawing Room, Loseley did a very fair impression of Mountbatten’s family seat in Hampshire. The filming took place here over 3 days in August 2015 and Greg Wise (Mountbatten) and Matt Smith (Prince Philip) were both filmed here. Knowing the fascination the Royal family holds for many, both in the UK and abroad, it is a strong possibility that we will see an increase in our visitor numbers next year as fans descend to see one of the filming locations. Indeed, we’ve already had one enquiry from an international tour company wanting to include Loseley on their “The Crown” tour. For those of us without Netflix (the author included!) we are looking forward to the drama being available as an old-fashioned DVD boxed set. It will certainly be on my Christmas list!